Product information "Wooden boxes used"
The original wooden crates - popular for storing fine wines; also for hobbyists who like to work with wood and conjure up wonderful furniture such as shelves, tables, storage boxes and much more from the crates using the "do it yourself method". There are no limits to creativity. Through staining, sanding, varnishing, each wooden crate becomes a decorative unique piece and fits into almost any rustic or modern room, such as in the garden as a plant pot or storage system. 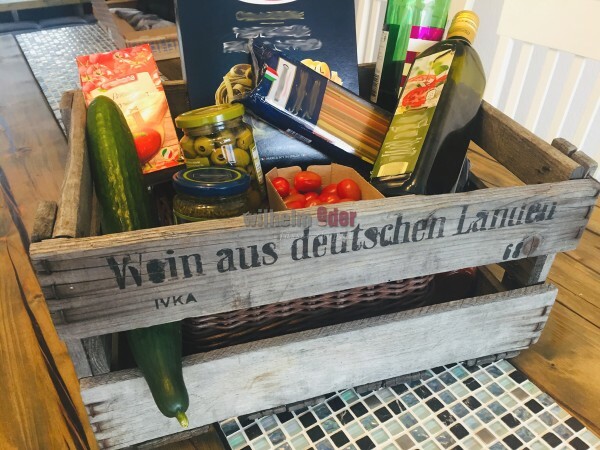 Original wine box - wine from German country- - or - wine gives joy -. The winegrowers of the southwest of Germany transported or stored in these boxes 12 bottles of wine whereby clear traces of use coin the originality. You will receive 6 crates in a low-cost parcel post.